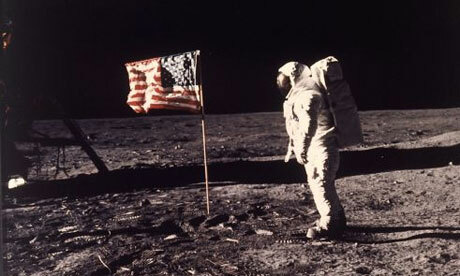 Forty-five years ago, American Neil Armstrong had become the first man to walk on the Moon. The astronaut stepped onto the Moon’s surface, in the Sea of Tranquility, at 2156 CST on July 20 (0256 GMT on July 21) casting this famous declaration: “That’s one small step for man, one giant leap for mankind.” An opportunity to remind that subsequent missions to Apollo XI used the Lunar Rover Vehicle that the NASA decided to back up by a Vincent 1000 Rapide Touring, just in case the Lunar Rover Vehicle would break down…. Astronaut Edwin E Aldrin poses for a photograph beside the U.S. flag deployed on the Moon during the Apollo 11 mission on July 20, 1969. 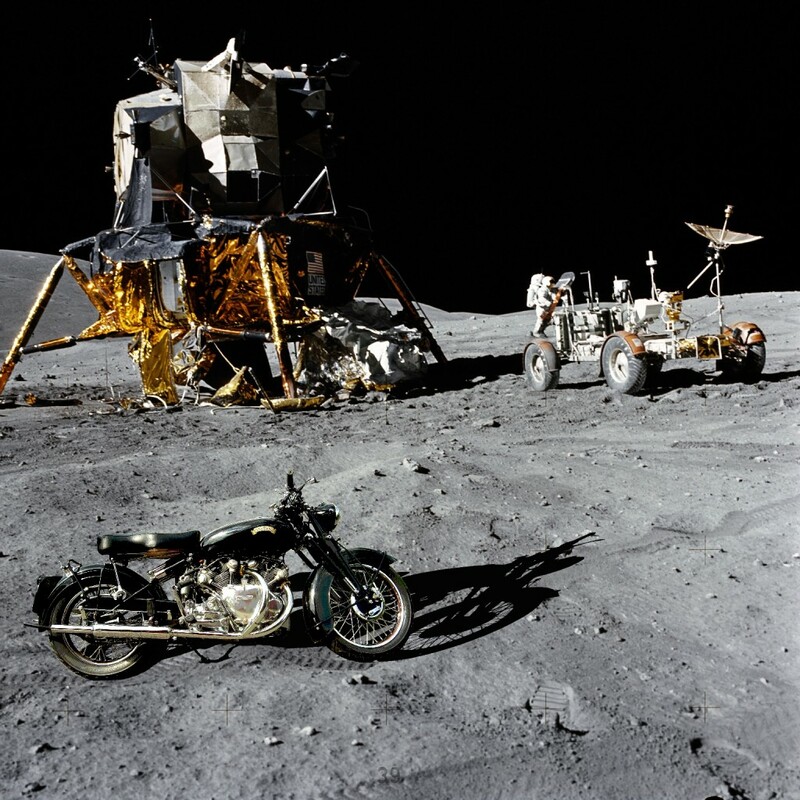 Photograph: NEIL ARMSTRONG/AP, and this one is real!